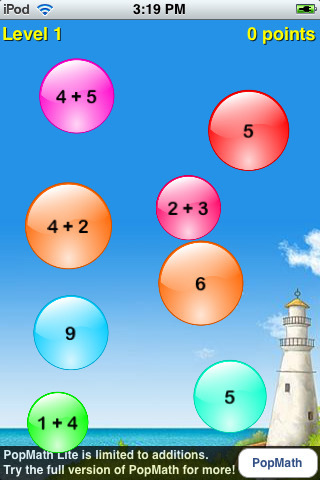 Pop Math is another low tech math iPad application. It will not be the brightest star in your iPad math firmament but it is a bright and cheap star. Pop Math is 99 cents. And that probably overstates the case. You can get much of the app for free. This is one of those iPad apps where you “buy” the free version and then buy the full version out of guilt because you got so much use out of the free game and… it is only a dollar. I could explain the game but really all you need to do is look at the image and you already know how to play. You just match up the bubbles and pop them. 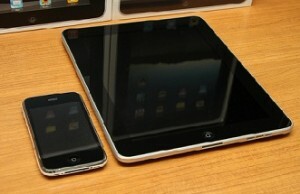 I stole this image from LunchBoxReviews.com which provides reviews of a lot of iPad education apps.